On first glance, the press hysteria over the temporary silencing of Big Ben looks like the archetypal “silly season” media story. After three successive summers filled with campaigning in the Scottish Independence referendum; Labour leadership contests; and the immediate Brexit fallout, it seems a throwback for British politics to be on the front pages of the tabloids due to the bongs of a bell inside a clock. But while the (relatively) quieter political context might have helped to prolong the story, the press coverage over the repairs to the Elizabeth Tower have demonstrated just how difficult it will be for the parliamentary authorities to get approval for a much larger repair programme: the Restoration and Renewal of the Palace of Westminster. It is almost a year since a Joint Select Committee of MPs and Peers reported on 8 September 2016 that the Palace faces “an impending crisis which we cannot responsibly ignore”. The infrastructure serving the building has long passed its expected life-span, and while it was impossible to predict whether the crisis would come in the form of a single catastrophe—such as a major fire—or a more gradual breakdown of the essential services required to keep the building safe and functioning—the Committee were clear in their conclusion that “unless an intensive programme of major remedial work is undertaken soon, it is likely that the building will become uninhabitable”. Many people, on seeing the scaffolding up on the Palace of Westminster, or reading the press coverage about Big Ben over the past few weeks, would assume that this “intensive programme of major remedial work” is already underway. The risks to the mechanism of the clock, however, meant the Elizabeth Tower repairs were judged to be even more urgent than the rest of the Palace and required immediate work. A separate repair programme was developed, which in comparison to the multi-billion Restoration and Renewal project, would be relatively low cost (even when reportedly doubled to £60 million). Furthermore, it would not require MPs and Peers to move out of the Palace, or have any impact on the work of the chambers. 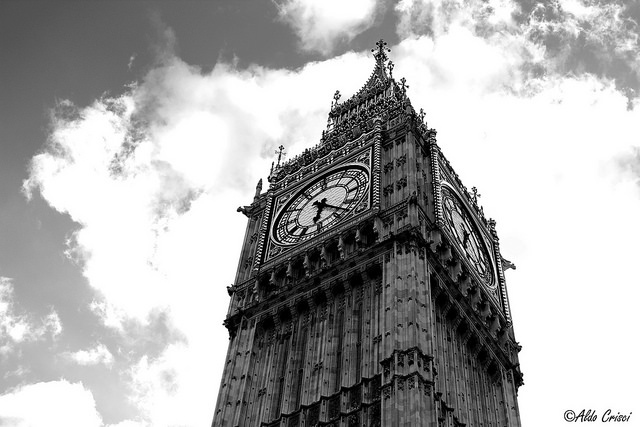 The House of Commons Commission approved the Elizabeth Tower work in 2015—a decision they will have to reconsider, at the Prime Minister’s request, at its next meeting. It is likely that any plans to change the repair programme to enable the bell to toll more frequently will lengthen the overall time needed for the repairs and the cost to the public purse. An even greater concern, however, is that the hostility to the Big Ben repairs will further delay plans to address the “substantial and growing risk”—identified by MPs and Peers— to the rest of the Palace. In their September 2016 report the Joint Select Committee set out a clear timetable for how the Restoration and Renewal (R&R) programme of work should proceed, but nearly a year later, not a single item on this timetable has been completed. The starting point was a debate and vote in the House of Commons and House of Lords, on the establishment of a Delivery Authority, which could carry out further feasibility work on the rebuilding plans, develop a business case, and provide design plans and a budget for MPs and Peers to approve. This has not happened: the Government, who hold the power over almost all substantive business on the floor of each House, has declined to schedule this debate, despite repeated promises to do so “as soon as possible”. The Prime Minister’s reported comment is that it is a matter for Parliament: but her intervention in the Big Ben saga demonstrates the lack of powers Parliament has to act without Government approval. The wider political turmoil has clearly had something to do with the lack of attention on R&R: seven weeks of parliamentary time was lost to the snap general election, and legislating for the Brexit Bill is said to be the sole focus of minds in the Commons. But to attribute to the delay in scheduling the R&R vote to simply “events, dear boy, events”, is to be overly generous: the lack of legislation on the floor of the Commons chamber in July demonstrated that there was plenty of time for the Government to debate this issue, had the willingness been there. This lack of interest in tackling the problem of the Palace of Westminster is not new. A backlog of maintenance was identified back in 1990 (the Ibbs Report); the state of the infrastructure has been a matter of major concern for seventeen years; and plans for decant have been discussed for nearly a decade. The wheels of decision-making chug slowly inside the Palace, however, as politicians of all parties have sought to defer action until for report after report to be produced—perhaps motivated by a wish that it would be their successors who would have to present an expensive, and possibly unpopular, rebuilding project to their colleagues, the public and the media. The latter concern has been partly borne out by Big Ben coverage—although it is hard to give too much credit to the Telegraph’s editorial stance that described the work as having “come as a shock to the nation”, when they reported in December 2016 that the plans would lead to a three-year silencing of Big Ben, without any accompanying concern that “the very heartbeat of our democracy will fall silent” and calls for the decision to be reversed, as the paper now insists. It is a concern if policy is being determined not by the architects and engineers working on the Elizabeth Tower, but by the Daily Telegraph. As for public concern, the Hansard Society’s Audit of Political Engagement (April 2017) found that more people supported the Restoration and Renewal Programme than opposed it, even when given details on the estimated cost. This public support is present even in the absence of a debate about how the Restoration and Renewal programme could be used to reconnect Parliament to parts of the electorate who feel geographically or otherwise distant from what happens in Westminster. There has been little discussion about what a Parliament for the 21st century should look like, or even more simply, how to address the appalling accessibility for people with disabilities within the Palace. Such a debate would allow the public to have their say on how to balance the importance of symbols and continuity, with the need for a functioning, inclusive and fiscally responsible Parliament. The Big Ben saga has revealed a concerning willingness by some politicians and parts of the press to proclaim the importance of an iconic piece of national heritage, while simultaneously undermining efforts to protect and renew that heritage for future generations. As the Joint Committee stressed, this attitude is irresponsible and, if it dominates the discussion over the wider Palace of Westminster, could lead to an avoidable but irreversible crisis. The short-term absence of the bongs will surely matter less if the Elizabeth Tower, and the rest of Barry and Pugin’s masterpiece, lies in ruins.